I had family visiting since last Wednesday. It was great and I miss them already. 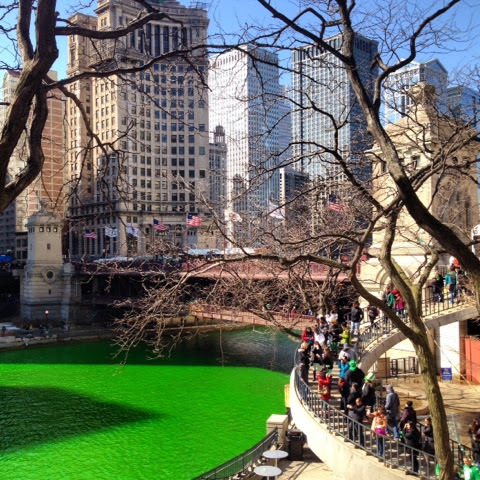 On Saturday, we went to see the Chicago River dyed green. Pretty neat if you ask me. There are very few things I do not like about Chicago -- the reason being everything it has to offer. My family loves it here and it makes me happy knowing they think I've made a great choice. 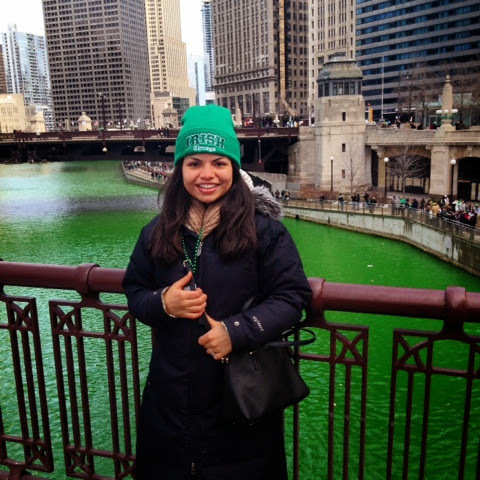 As luck of the Chi-rish would have it -- I went shopping on Sunday with my aunt. 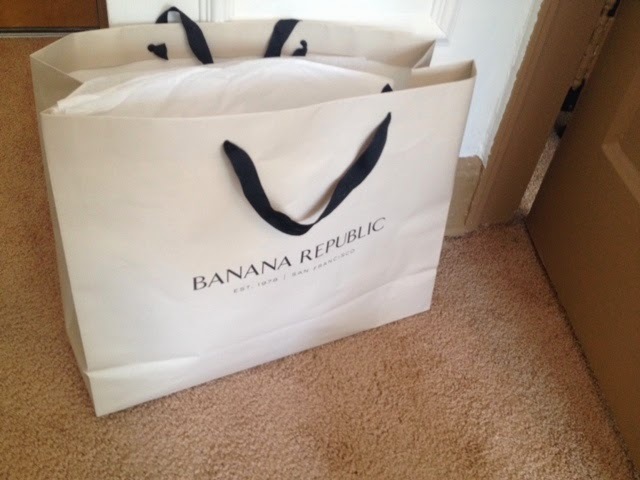 Thanks to her great coupons, I was able to get over $600 worth of REGULAR priced items for $233. Happy wallet and wardrobe for the win! 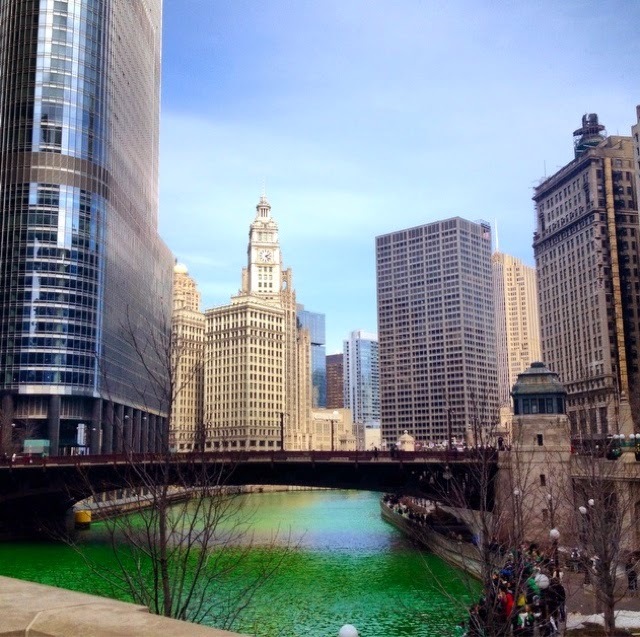 And Happy St. Patty's to all of you! The river looks so cool. That's def something to see in person some day.